Each time you take your business to market, you’re stepping into the arena. To succeed, you need innovative strategies to stay top of mind. Developing a community outreach program is an excellent way for small businesses to gain local traction and up visibility without a huge investment — simply put, a high return on investment. Here are three community outreach ideas for small businesses that add real value to your marketing campaign. Approach a school and offer it something that their funding typically won’t cover. It’s a win-win for them, so they’ll rarely decline the offer. What’s in it for you? Schools encompass the entire community. Students connect you to families and families connect you to neighborhoods. At the local level, this is even more effective than social media marketing. Students are also a great mouthpiece for your brand. They talk and share more widely than most other groups, and your reach is truly limitless if you maintain a long-term relationship with a school—few other groups have new faces cycling in every year. In other words, you can set into motion a chain of brand promotion events with one initial donation. NGOs have high contact rates with the general public. 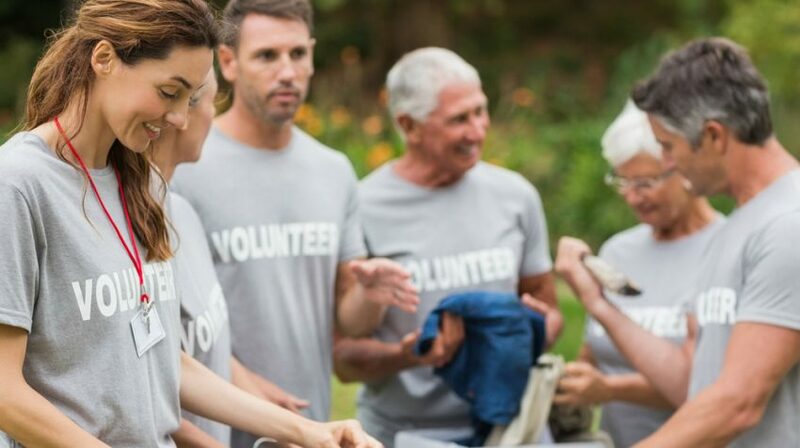 They go place to place, person to person, focusing on attracting interest for their cause, so even volunteering at their events will increase your visibility. It’s also gratifying as a business owner to help an organization make a difference, particularly if you’re passionate about their cause. Pool your efforts with other local businesses. Put on a free event for the public or table at an annual event that attracts high numbers. The more you collaborate with other business owners, the more you get your bran’s name out there. And you mind find business partners for other co-marketing efforts in the future too. This costs a bit more, but it’s also a superb way to build rapport with people. What you need is your brand’s name or logo next to a message. Look around and you’ll easily find people wanting to put up a message. Get this message put up for them, and next to the message, put your logo. Having a catchy name helps. Does it work? Yes. People often ignore the marketing stuff around them, but they rarely do it with messages. Very few people pass by a message without reading it. In other words, it’s one more area where you get to attract the attention of a large audience without much effort. How to do it? It’s simple: your name next to the message. Just one catch: make sure the background theme is plain, the message is short and your name is the only thing noticeable on the board other than the message.